Our modern world can be absolutely deafening. All the ideas, images and people. So many products, movements and slogans are put in front of us each day. It’s enough to make me want to seclude myself on a dessert island. Something in me whispers to me that we were not created to consume so much. These messages permeate my soul and an anxious, overwhelmed feeling creeps in and begins to constrict not only my chest but also my heart. Maybe it’s my personality. Maybe it’s because I’m a writer. Heck, maybe it’s because I’m human. 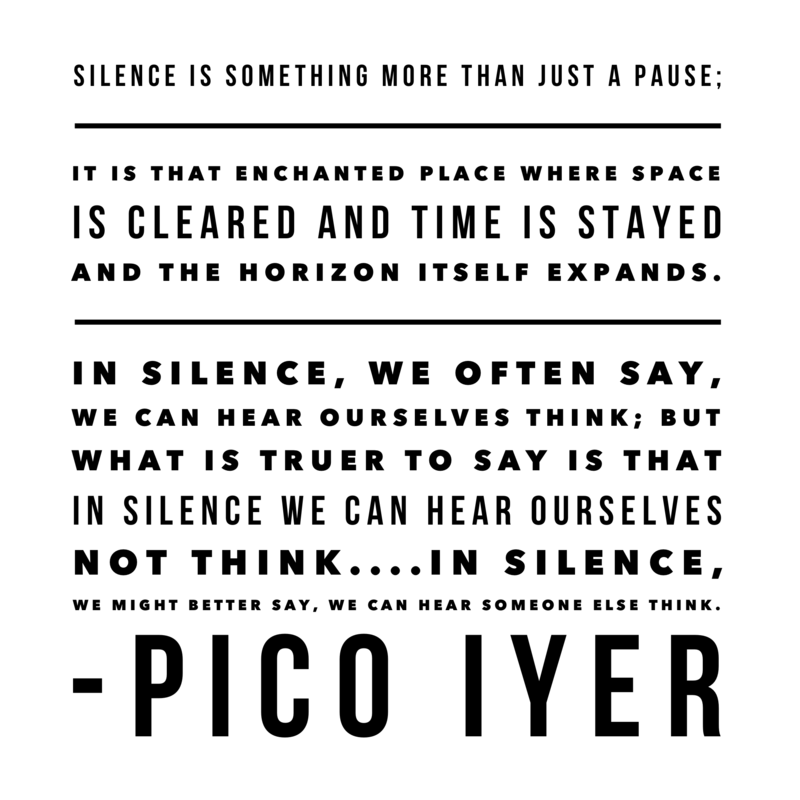 But certain days or weeks demand I silence the noise and get intentionally small. In the past, perhaps I would have wondered what was wrong with me for being so overwhelmed by it all. But these days, I tend to see how the vibrancy of my soul depends deeply on seeking out purposeful silence. Purposeful silence better allows me to hear God. So I still myself out discipline and great need – when I have been otherwise distracted, overwhelmed, too busy or, possibly, even afraid of what He might say to me. Sometimes this looks like taking a break from social media. Sometimes this looks like hiding in my bathroom for a few minutes, away from my kids. Sometimes this looks like sacrificing something in order to create space in my life. 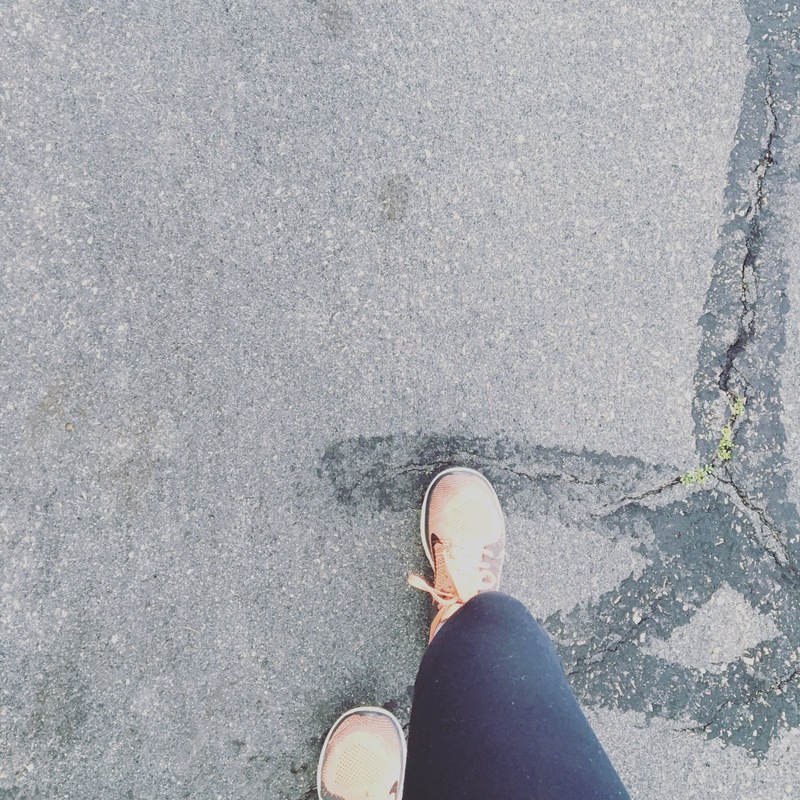 Recently, I started back at running after taking a nearly one and a half year break during my pregnancy and postpartum with our fourth baby. And as cruel as it may be, my neighborhood demands I run hills. Yes – insane hills. I force my body forward with each step. My eyes focus on the two square feet of street in front of me, while the brim of my hat blocks my upward view. I have to remind myself to keep my eyes fixed on the two square feet in front of me. Two square feet. Because if I look up? What I see is daunting and impossible for my post-baby body. Silence and discipline of focus. This is what is at the forefront of my mind. I’ve been reminded over and over recently to keep the eyes of my heart fixed on Jesus. If you’ve been a believer very long, you’re probably familiar with the verse in Hewbrews 12 that says, “Fix your eyes on Jesus, the author and perfecter of faith…” This has been on repeat, running through my mind constantly. Because I’m easily distracted. Beacuse I get caught comparing myself, my story, my life with others. Because whenever my mind gets noisy and my heart starts looking around, that’s exactly when discontentment, discouragement and FOMO creep in. And thank goodness God knows how imperfect we are… He reminds us over and over where to put our eyes, our heart, our attention. Whenever we are faced with a challenge, a task, a calling that feels FAR too big for us… We remember the importance of silence in order to hear and we remember the two square feet in front of us as we climb that mountain. We keep our eyes down, away from distraction and comparison and any shiny, pretty thing that passes by. We tune our ear towards His voice and we Fix. Our. Eyes. What could you block out in order to fix your eyes on Jesus and what He is calling you towards today?